Too bad. No luck for us for a clear blue skies while we are there.. bummer. 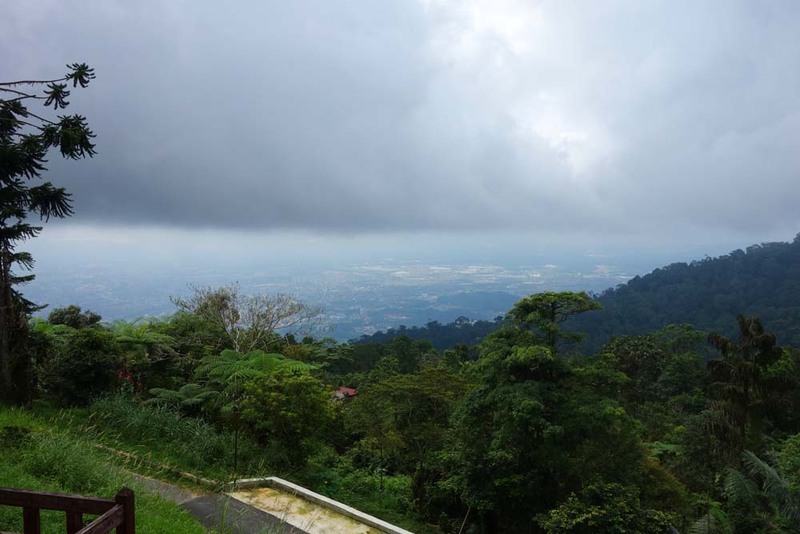 Bukit Larut, also know as Maxwell Hill is a hill resort in Taiping, Perak – Malaysia. Although it is 1,250 meters tall, most people will only climb to 1,036 meters near to the famous hanging bridge and watch tower. The view over there is magnificent on a clear day as it overlooks Taiping town, the Peninsular coastline and Straits of Malacca. The weather is also cooling which is fantastic for a hot country like Malaysia. It is the only “highlands” in northern Malaysia, so you now know where to go if you need to escape the heat. For those who are feeling lazy to climb, you can take a jeep ride up the hill without breaking a sweat for a small fee of RM6. The jeep ride is a thrilling 30 mins high speed, twisting turning and sharp bends. Its an experience nonetheless. Simple bungalow facilities are available at the hilltop for those who are looking to stay overnight. Plan a trip there. Get the hiking information of Bukit Larut (Maxwell Hill) at Share My Hikes now!